Get a coupon now! Click here to learn more! Sign up with your email for coupons worth over $200! *Time is running out! Coupons can be used by Jul 31, 2019! Click here for more information on how to use coupons! View Hawaii from the sky! 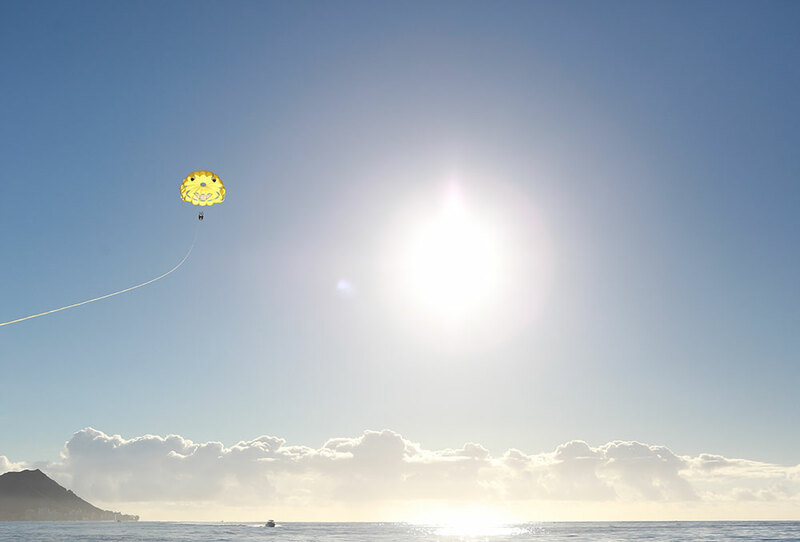 Conveniently located in Waikiki, we offer Oahu parasailing tours along world-famous Waikiki Beach. Best of all, absolutely no experience is necessary. 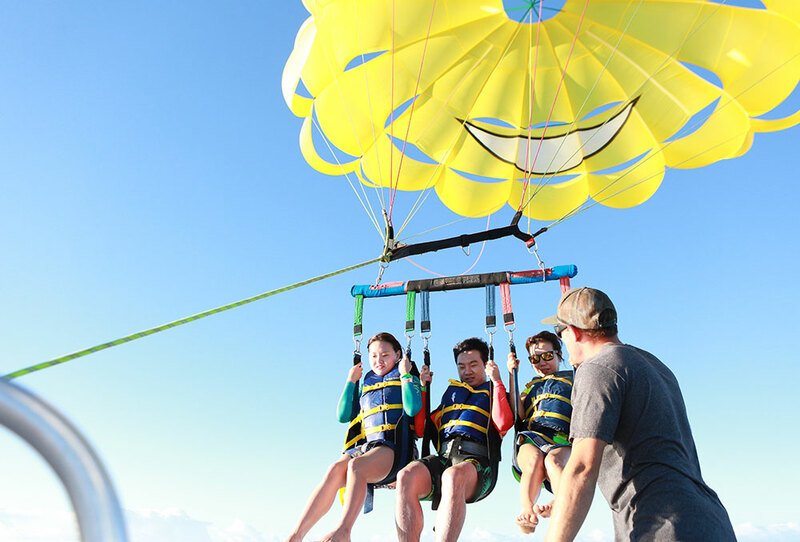 Feel free like a bird as you soar high above the ocean's surface and enjoy fantastic panoramic views of Diamond Head and the Waikiki skyline. All the noise from the boat and the city cuts away as you ascend, leaving you and your flight buddy in your own pocket of paradise. We offer 4 packages to choose from, the main difference is the line lengths: 300 feet, 500 feet, 750 feet and 1,000 feet of towline. 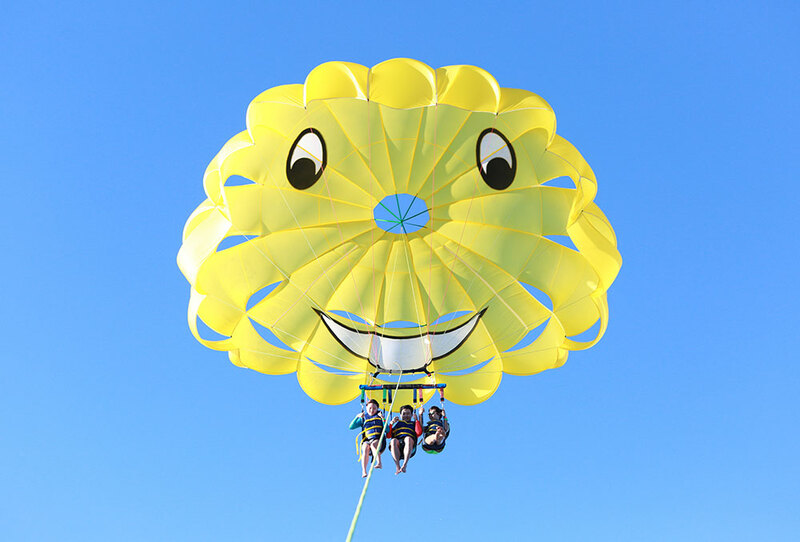 Also, if you have a family member or friend who would like to come along on the boat, but who doesn't want to parasail, no problem. We also offer Observer fares for the boat ride only. 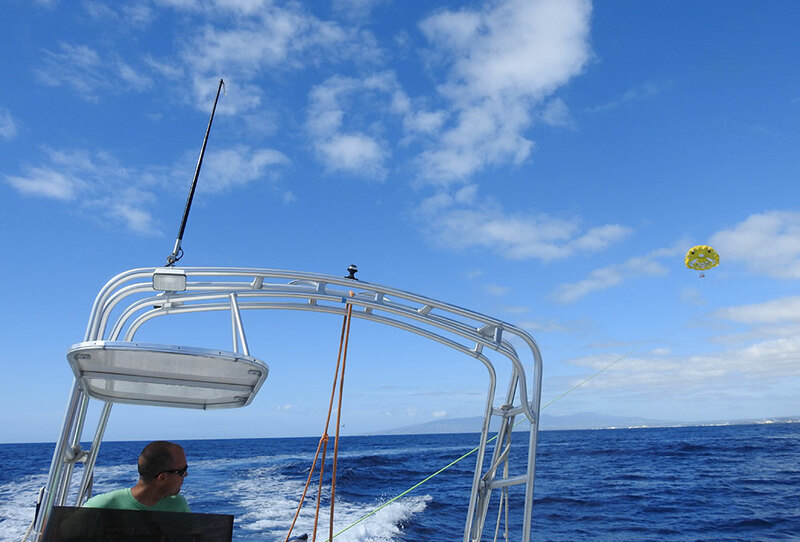 Your Waikiki parasailing adventure begins as you step onto the parasailing boat at the Kewalo Basin. 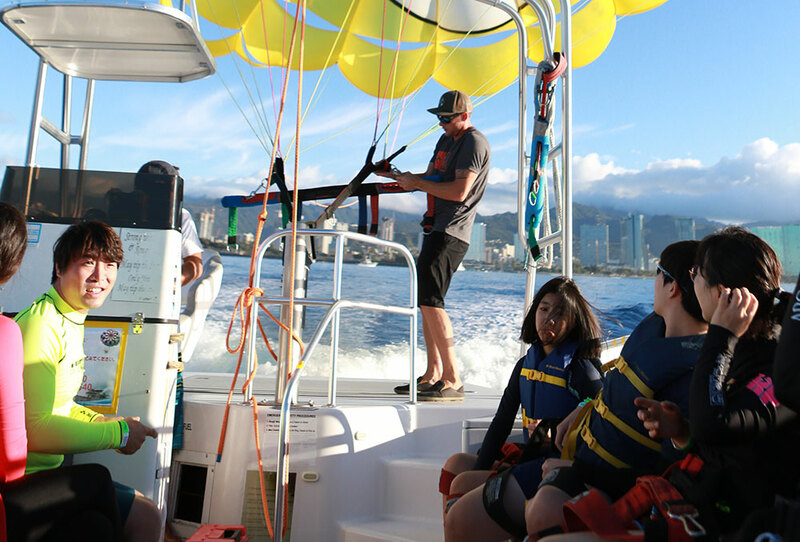 Your friendly captain and crew will brief you on operation procedures and safety and you'll then cruise along Waikiki Beach and get into your harness to prepare for your flight. Then you're ready to go. 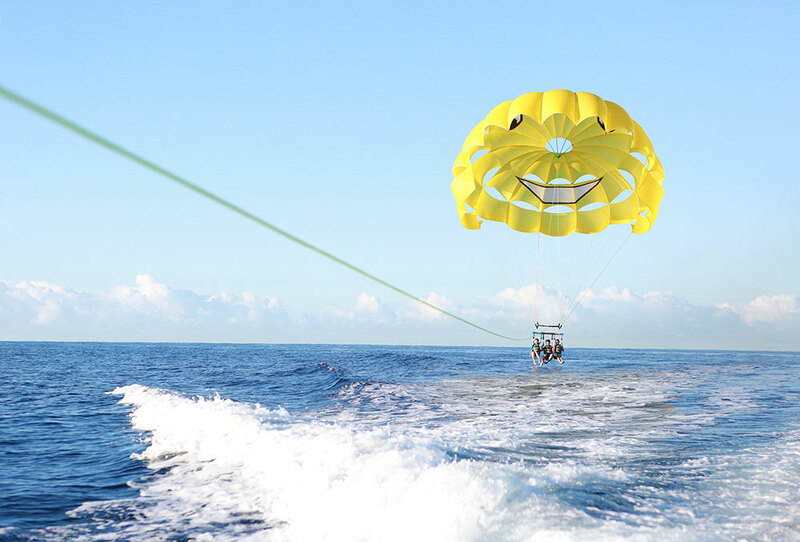 The parasail will inflate and lift you up into the air for an amazing ride. #We offer every hour from 8am-16pm. A great package for beginners! This is ideal for those who prefer our shortest line of 300 feet! 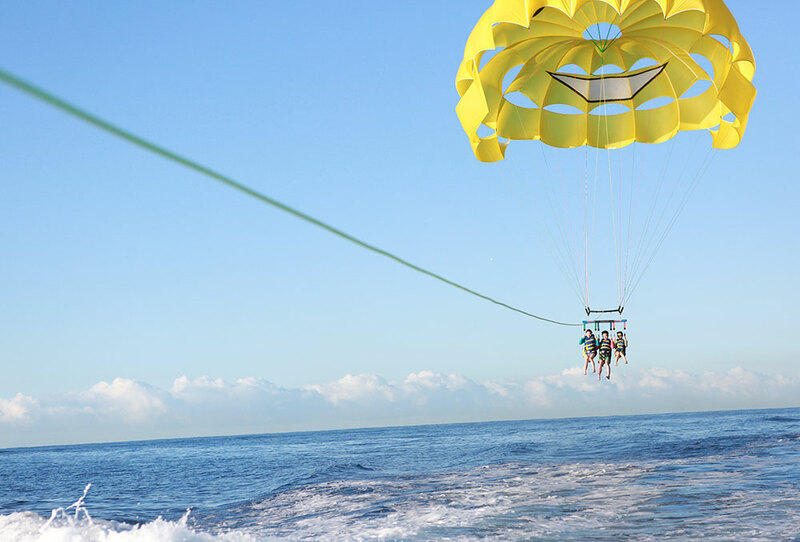 Perfect if you are parasailing for the first time. This is an ideal package for those who prefer a shorter towline of 500 feet. Perfect if you are just getting the hang of parasailing. This is our mid-range flight with a 750-foot towline. Great choice if you're feeling a little adventurous or would like to fly longer. Our highest flight with a super long towline measuring 1,000 feet. 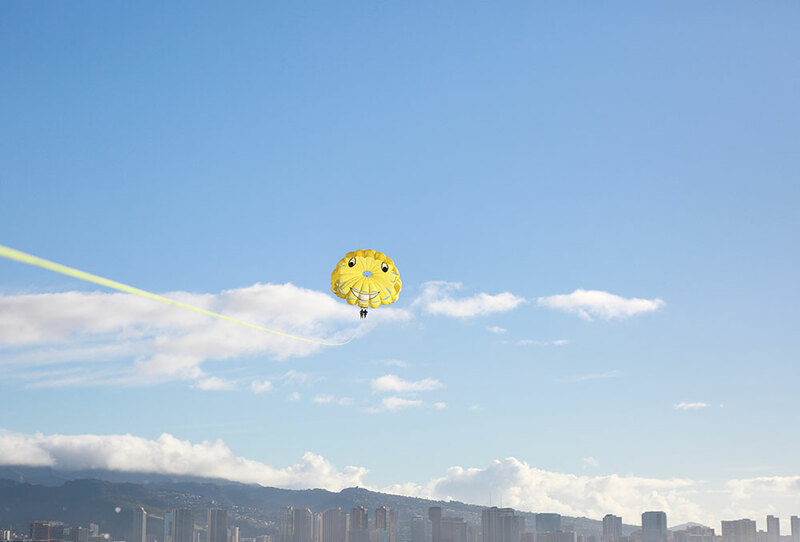 This is the ultimate Waikiki parasailing adventure, offering the best view! We politely refuse pregnant women, for the safety reason. All participants must sign a release of liability waiver form prior to any activity that Waikiki Ocean Sports provides. 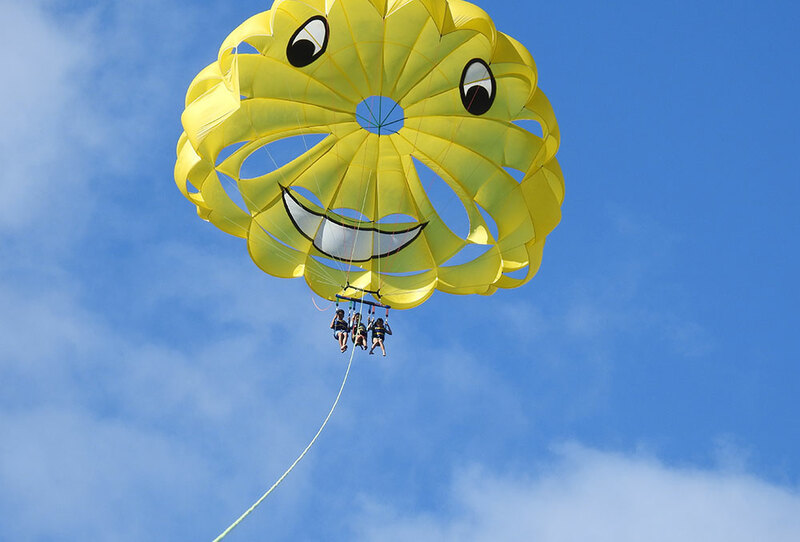 The minimum age to parasail is 6 years old. Participants under the age of 18 must have a parent or guardian sign their liability waiver prior to boarding the vessel. 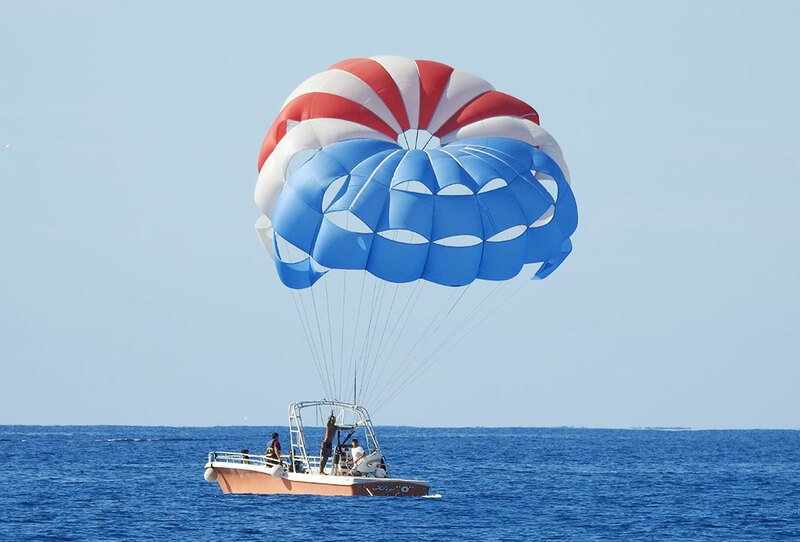 Minimum weight required to parasail is roughly 125 pounds. If the flyer is less than 125 pounds, they will simply fly tandem with someone. Cancellations and date changes are ONLY allowed with at least 48 hours prior from the tour date and time. We unfortunately cannot cancel, refund, or change the dates if the tour starts within 48 hours.